Tampa Bay’s Ben Bishop has already beaten Carey Price and Henrik Lundqvist in the playoffs. If the Lightning win the Stanley Cup – which Price’s Canadiens and Lundqvist’s Rangers have yet to do – is Bishop a better goalie than they are? If Chicago’s Corey Crawford winds up winning his second Cup, is he a better goalie? Few people are going to say yes. After all, even the greatest goalie can’t win all by himself. But having a good goalie certainly doesn’t hurt. Who did Toronto have in net entering the 1917–18 season? The tandem of Art Brooks and Sammy Hebert. Their modern equivalents might be the two worst starting goaltenders in the American Hockey League. Hap Holmes was from the Toronto area, born in Aurora, Ontario, in 1892 and raised in Clarksburg – between Collingwood and Owen Sound – but living in Parkdale since at least 1911. 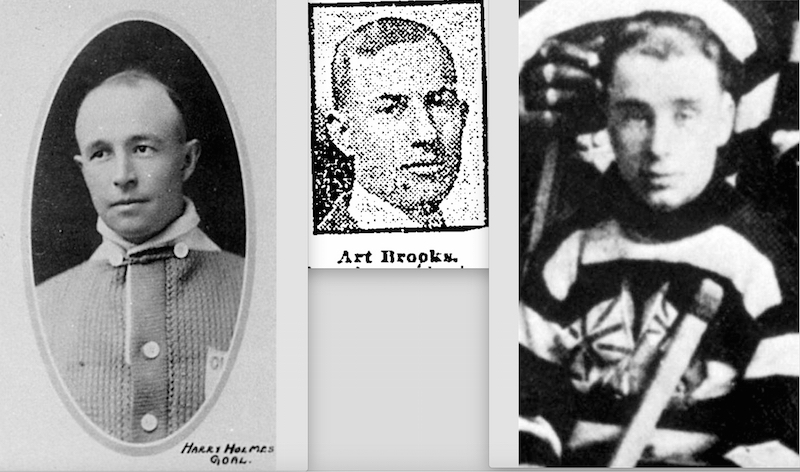 He’d won the Stanley Cup with the Blue Shirts of the National Hockey Association in 1914, but was one of several Toronto players lured to the Pacific Coast in 1915 – where he won the Stanley Cup again with the Seattle Metropolitans in 1917. Now, Hap had a chance to play at home again … but the Wanderers (for reasons that seem somewhat dubious) owned his NHL rights. When it mattered most to his team, Hap Holmes was Mr. Stopper from Stopperville. Who will it be this year? What I love most is just how hokey journalism from 1917 seems compared to today, although Mr. Stopper from Stopperville is pretty gold. Another outstanding story — so many overlooked stories from the early years of hockey — thanks for digging another one out!